The winds kicked up today and blew in some photogenic clouds for our second visit to Arches National Park. The park is just pure magic with it’s imagination staggering rock formations, thousands of arches and desert-scape. Have posted some new pics on Flickr. 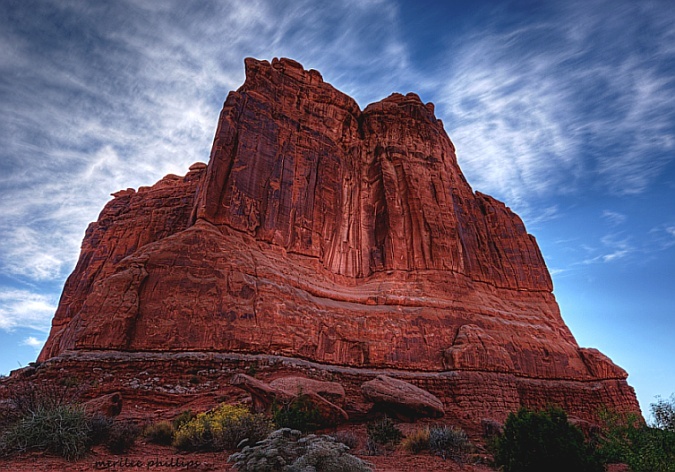 This rock formation is called the Tower of Babel and it is majestic and so impressive. Taken early in the morning with high winds blowing as Brad held onto the jeep. Always love a challenge.